My voyage : entering giveaways,winning giveaways,doing reviews and making GREAT food! Who is All things Sizzle? I was checking on some sites like: elance and pay-per post. Does anyone have any ideas on how to make some extra income? 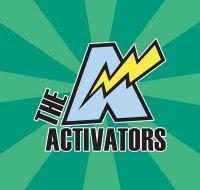 The Activators are a comedic ensemble of teachers, athletes, singers, and dancers whose primary mission is to combat childhood obesity by making fitness fun and engaging children (ages 2-8) in physical activity. The Activators differ from other children's entertainment groups by producing content that is truly interactive. Through comedy sketches that feature exercises, games, songs, and dances, every video and performance is designed to inspire children to laugh, move around, and follow along with the cast. Children enjoy the fun and excitement of The Activators, while parents appreciate the attention focused on imaginative play, balance, agility, coordination, and development of manipulative skills and gross motor proficiency. With nearly one out of every three children in the U.S. currently considered overweight, The Activators provide a refreshing, timely, and much-needed approach to children's entertainment. My Gym was started in 1983 and is the #1 fitness center for children with 200 locations WORLDWIDE. My Gym uses innovative state-of-the art gym facilities to empower children from 6 weeks to 13 years by helping them aquire the skills, confidence, and positive self -image needed to become healthy young adults. Visit: www.mygym.com to find a location near you. The Activators are so much fun!!! Their online site is very innovative and their videos really make it seem like the children are playing a game and not just doing something that is good for them. They really make exercising entertaining. I feel like this would be a great thing for the WHOLE family to do together and they sure do have great teachers which come from the My Gym facilities! 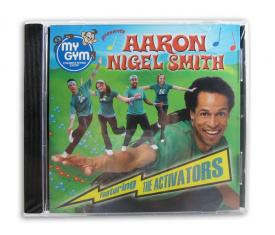 The Activators By Aaron Nigel Smith!!! 5. Blog about this giveaway with a link to this blog-5 entries!! I recieved no compensation to review theactivators.net but was given the cd's for a giveaway thanks to Cara Downs. Giveaway is open to USA and Canada 18+. Winners will have 48 hrs to reply to the winning email or a new winner will be choosen. Winners picked via random.org. 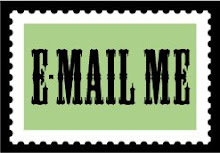 I must have a way to contact you so either leave an email in the comment(s) or have it in you public blogger profile. 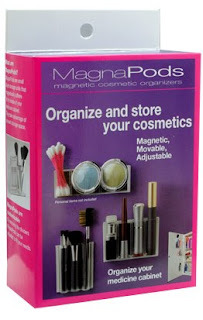 MagnaPods help you restore the organization in you medicine cabinet. The clear high quality plastic containers magnetically adhere to the inside of your steel-framed medicine cabinet door giving you new space to organize your make-up brushes, eye liners, lip sticks and much more. The MagnaPods are moveable and sturdy. Not only do they have Cosmetic Organizers they also have a magnetic tooth brush holder as well. My medicine cabinet is a total mess! I've got everything from Q-Tips, toothpaste,brushes and make-up everywhere...no organization what so ever. I was ecstatic when I recieved my MagnaPods organization system and tooth brush holder. They were so easy to attach to my medicine cabinet and now my mess is all cleaned up! I feel so much safer and better that my toothburshe isn't just laying on the shelf it's now in its little holder. Visit MagnaPods to Buy both the organizer and the toothbrush holder. One very lucky reader will receive one Cosmetic Organizer set and one Tooth Brush Holder from MagnaPods! 5.Blog about this giveaway with a link to this site-5 entries!! 10. Enter another current giveaway-1 entry per giveaway entered! Giveaway ends on March 10th, 2010 at 11:59 pm!! I will email the winner either that night or the morning after! 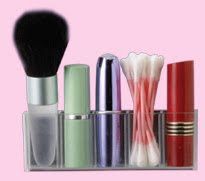 *No monetary compensation was received for this review--MagnaPods sent me their cosmetic organizer set and tooth brush holder to review, and I gave my honest opinion!! Open to US residents 18+. One winner will be chosen via random.org and the product will be sent out from MagnaPods. The winner must reply to the winning email within 48 hrs and must leave an email in every comment or have it in you public blogger profile....if not I will choose another winner! You guys: my readers: know I'm never going to pass up a good giveaway and I sure didn't pass this one up either. Bella's Beauty Spot and Head Organics is giving away an Extra Hold Gel and an Extra Hold Moose ARV $35.00!!! Head over to Bella's Beauty Spot to Enter to win!! 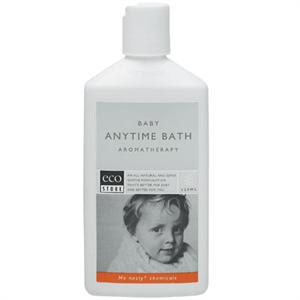 What does No Nasty* Chemicals mean? 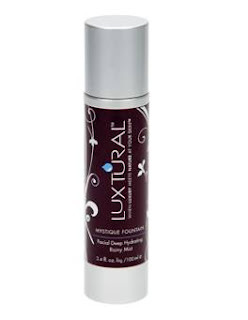 *They can be reactivated by sweat and moisture - and start doing the job they were designed for - removing fats/protein - on your skin and potentially causing allergic reactions or other health complications. You can read the rest of the No Nasty* Chemicals statement HERE. 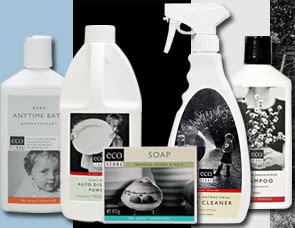 Honestly, these products make me feel cleaner because there aren't any nasty chemicals in them. They work just as good as the one's with all the chemicals but these are all natural and I really feel better using them. I really love the fact that EcoStore does NOT do any testing on animals. I have pets and I couldn't imagine testing any products on them. I tried the Pure Oxygen Whitener in a load of laundry and It really brightened my clothes up. The Baby wash worked great too! Free shipping on all online orders of $25.00 or more!!! 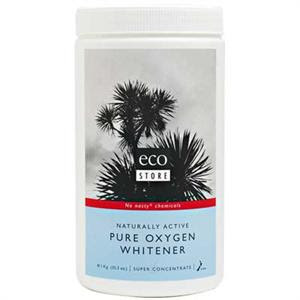 Visit EcoStore USA for inexpensive Eco Friendly products. 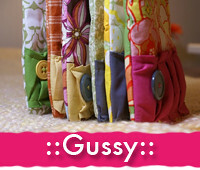 EcoStore USA is giving one of my lucky readers a $25.00 Gift Certificate for their store! Leave an email address with every entry unless it's in your public blogger profile. That's AT LEAST 20 Entries if you do them all!!!!! Giveaway Ends on March 4th, 2010 at 11:59 pm. Opent to US only 18 +. Winner will have 48 hrs to reply to the winning email or another winner will be picked! I recieved complimentary products to do this review. I was not paid monetarily and my review was honest and of my own. I really love crafty things and I really really love headbands. 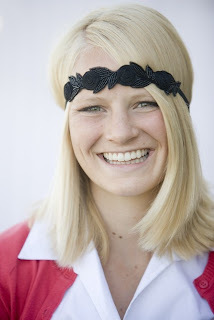 So, when I saw Academy J featured on another blog I had to review their awesome headbands. I recived the Lucille which is a black beaded trim of roses attached to a black elastic band. It's gorgeous and I've worn it to work twice already since recieving it. I'm amazed by how they really added romance to this band; it's almost like being in a different time. I really love to support handmade products and these are the best I have tried yet! Founded and run by a team BYU Visual Arts/Education students, Academy J came into existence when three talented young women combined their love of people, art, design, and good old-fashioned hard work. The result is a unique collection of handcrafted headbands that are truly unique. 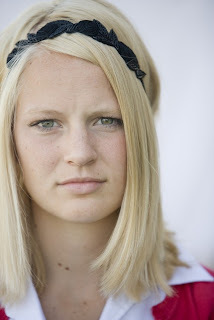 Academy J Handcrafted Headbands prices their bands depending on the style and design. The Lucille headband that I reviewed can be purchased for $18.00 from Academy J's online store-front. Or, at their etsy shop HERE. I was super dooper excited when I recieved my calendar(s) from Tukaiz Products. I was really only expecting one but they made one for my blog as well. 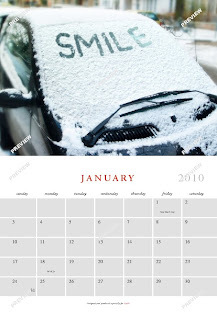 Tukaiz Calendars are unique and special because they personalize them with your name for every month and the pictures really depict the month that you are in. They offer desk and wall calendars as well as invitations,holiday cards, notebooks, and folders. They offer two different sets for the wall calenders. These make great gifts for everyone!! The great folks at Tukaiz Products has offered to give one of my lucky readers a wall calendar of their choice!!! These must be done in order for any of the extra entries to count! Giveaway ends March 5th, 2010 at 11:59 pm Central Time. Open to USA 18 +. Winner will have 48 hrs to respond to winning email before I pick another winner. I recieved no monetary compensation for this review. Thanks to Takaiz products for hosting this giveaway. Lot's of giveaways and lot's of ways to win!!! 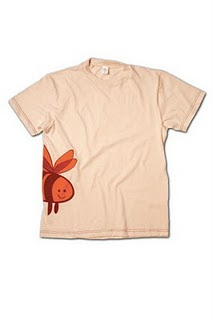 Over at Cartoon Loving Momma there is a great giveaway going on!!! The thing about my blog is that not only do I do reviews and giveaways...I also love to share the cool ones I find as well! SO: Visit this site to win! Great Giveaways at Mission Mommy! My readers know of some more awesome giveaways going on in the blogosphere!!!! You’re a smart person. You really are. Most of the time. So why are you having such trouble making sense of your love life? Whether you’re single and wondering where your “one” could be hiding; head over heels in a new relationship and vowing that this time it’ll work; or finding that married life isn’t the thrilling adventure you’d once anticipated . . . you might be surprised to discover that the answer lies in your own ‘Cupidity’—stupid love. 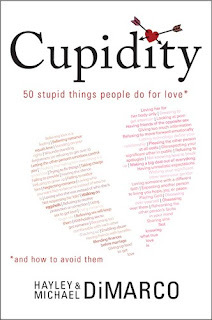 In this book, popular authors Hayley and Michael DiMarco identify 50 of the most common acts of Cupidity, ways to avoid them and learn from them, and some surprising things God has to say about relationships. With the help of their inside information, smart, successful love can be just around the corner. 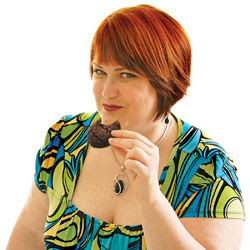 Hayley DiMarco is the best-selling author of more than 30 books, including Dateable and Marriable. She spent the early part of her career working for a little shoe company called Nike in Portland, Oregon. After three years with the "Swoosh," Hayley got fed up with the incessant rain of Portland and began to search for drier ground. Soon she found just the spot—Nashville, Tennessee, where she became the manager of promotions at Thomas Nelson Publishers. While operating as the brand manager of Nelson's new teen line, Hayley authored, edited, or had her hand in more than 36 different titles. In 2002 Hayley left Nelson and founded Hungry Planet, a company intensely focused on feeding the world's appetite for truth by producing books and new media, taking on issues of faith and life with a distinctly modern voice. Shortly after founding Hungry Planet, Hayley successfully completed a nationwide executive search for someone to run the company so she could focus on writing. She describes her husband, Michael, as her most successful business acquisition! Hayley and Michael are now the proud parents of Hungry Planet's 30-plus books, including 10 best sellers, three ECPA Christian Book Award finalists, one ECPA winner, and one amazing human, their daughter, Addison. Find out more about Hungry Planet at http://www.hungryplanetmedia.com/. Michael DiMarco is the CEO of Hungry Planet. In addition to the nine books he has authored or coauthored, Michael also created The Hungry Planet Bible Project, a 10,000-mile road trip designed to give a voice to the hungry and homeless. Hayley and Michael are the proud parents of dozens of Hungry Planet books, including 11 best sellers, four ECPA Christian Book Award finalists, and one ECPA winner; and one amazing human, their daughter, Addison. Ok, Cupidity=Stupid Love. I can't tell you how many times I've done something stupid because I've loved someone. This book is great because it is actually written by a married couple. In Leiu of Valentine's Day, I think this is a great book to read! Hayley and Michael did a wonderful job writting this exspecially how they added humor to this book. Tyndale House Publishers has provided me with a complimentary copy of the book to do this review. This review is my honest opinion. Delivering a big message with strong biblical insights and heartening personal stories, author and Women of Faith speaker Sheila Walsh shows women the life-changing power of trusting in God. Most Christian women live with a deep sense that they can't seem to get things right, that if only they could be a little better, life would straighten out. Through her own personal hardships, Sheila Walsh has learned that the Christian life is not about getting things right or back to "normal." She writes, "Christ comes not to get us out of our difficulties but to live in us through them." She wants to show women that God has a stunningly beautiful moment of redemption for them that leads to a lifetime of peace and joy. In this eye-opening message for women, she presents a moving look at her own story as she dives into the lives of Bible characters, drawing out lessons from their trials that women can use immediately to establish a deep, life-altering trust in the Father. I really was inspired by this book! It's really Great how Sheila opens up about her life in it; and also compares it to 10 examples from the bible. 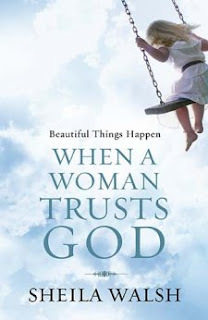 Beautiful Things Can Happen When A Woman Trusts God is uplifting because you will get to know the characters from the bible that were transformed and the teach us that no matter what is going on in OUR lives that god helps us through it. I like how she uses Scripture in it such as: The strength of the fatherless was crushed. Therefore snares are all around you, and sudden fear troubles you. This is a great book for every woman to read! If Love could be listed as an ingredient, it would be the very first one found on the Yes! To Cookies box. Yes! To Cookies is a healthy and delicious recipe created through one mans love for a woman. Not just a woman, but one with severe insulin-dependent diabetes. Confronted by this unforgiving disease and heart-broken by her constant battles with the exhausting ups and downs of brittle diabetes, he knew he had to do something. She had tried every recommended diet and every artificial sweetener on the supermarket shelf without success. Yet he believed there was something that could nutritionally work to her betterment; something to combat the rapid sugar spikes and plunges she endured on a daily basis and give her the wiggle-room in her diet that she craved. The low-calorie, artificially sweetened products available had never quite tasted right to either of them, worse yet they were contributing to her unpredictable blood sugar swings. He decided he could do better. He knew that he could not use starch and sugar. Foods with these ingredients always caused his sweetheart to have unpredictable high blood sugars followed by scary low blood sugar crashes. He had never heard of baking without starch but he knew that he had to try, and he had an idea! What if he left out the starch and used fiber instead? What is special about Yes! To Cookies ? Mmmmm, Chewy, Crunchy, mouth-watering gluten free cookies. Yes! To Cookies is sweetened with erythiritol and rebaudioside A-Stevia. These sweeteners have no signigicant effect on blood sugar or calories consumed. They also do not cause the gastric problems of many sugar alcohols. Made with fiber instead of starch and flour(wich digests into sugar), Yes! To Cookies are a delicious worry-free way to satisfy snack cravings with fresh baked cookies! A low carb diet is great for your health and weight but sometimes you still get a craving for a cookie. If you're watching your carbs, you know that cookies aren't on the menu...until now! All-natural and delicious Yes! 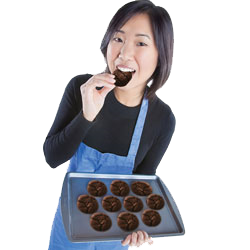 To Cookies will satisfy your hunger without short-circuiting your nutrition. We replaced starch and sugar with 100% natural cholesterol-lowering fiber that's calorie free and zero calorie sweeteners. Each cookie has so little digestible carbohydrates that we can actually say it has zero starch and zero sugar! The 22 carbohydrates in a serving of Yes! To Cookies mix is not digested since these carbs come from fiber and no calorie sweeteners instead of starch and sugar. Studies show that autistic children, who are unable to properly break down certain proteins, could benefit from a gluten- and casein-free diet. Yes! To Cookies is a delicious way of allowing your child to enjoy the wonder of cookies, without the ingredients that are potentially harmful to them. Yes! To Cookies products are gluten-free (because they are made with fiber and not wheat or grains) and casein-free (because these proteins are removed during the whey-separation process). Children with other developmental disorders (such as ADHD) can also reap the benefits of Yes! To Cookies wholesome, all-natural goodness. Many people diagnosed with diabetes or pre-diabetes feel like they will never again enjoy fun foods like cookies. That is simply not true! Choosing to eat healthy foods is important to maintaining well-managed blood glucose levels. Now cookies can be a yummy and satisfying part of your meal plan. Because Yes! 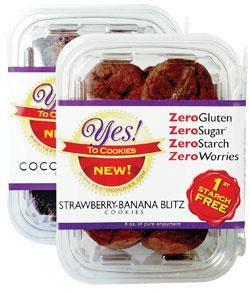 To Cookies treats contain very little digestible carbohydrates and virtually no starch or sugar, diabetes sufferers can safely enjoy Yes! To Cookies products without risking harmful side-effects. Those who suffer from gluten-intolerance (or have conditions that require them to eliminate starch and gluten from their diets) may find it difficult to find healthy treats that are still delicious. Yes! To Cookies products are made with ingredients that safely replace gluten, without sacrificing taste. Between 1 and 3 percent of all pregnant women will develop gestational diabetes, a condition that can cause harm to both mother and child if left untreated. According to http://www.familydoctor.org/, if you have gestational diabetes, your doctor may choose to limit the amount of starch and sugar you eat, for your safety, for your safety, and for the health of your baby. Foods that you once enjoyed, like cookies, may suddenly become off limits. Because the amount of sugar and starch in their diets is generally limited, moms-to-be may have found themselves facing unfulfilled cravings - until now. Yes! To Cookies products contain fibers and sweeteners that aren't digested or absorbed, so they are guaranteed to have virtually no impact on a pregnant mother's glucose, instead passing harmlessly through the body while promoting healthy regularity. These yummy treats are great for the whole family! Yes! To Cookies was generous enough to provide me with samples of their delicious, ready-to-eat Cocoa-Liscious and Strawberry-Banana Blitz flavors for review. I was a little worried at first. I thought, "Hmm, a cookie with NO sugar?" I wonder how that will taste. So, I opened the package and smelled them! (I know I'm weird) And they smelled Yummy! Next came the taste test. I was greatly suprised at how good they were! Finally a cookie I can eat witout the worry of packing on some extra pounds. If you are on a diet these really fill you up. After eating just three cookies I was actually full! How great right?! This is one SMART cookie! One (1) Lucky reader will win 1 tub of each cookie! Visit Yes! To Cookies' official website and let me know why you (or someone you know) could benefit from Yes! To Cookies' products. This is required and must be left as a comment at the end of this post before additional entries are submitted! Be sure to leave a separate comment for each additional entry! Open to US and Canada. Contest ends at 11:59 PM Central Time Zone on Feb. 23, 2010, with a winner drawn via Random Number Generator the next day. If your email address is not visible in your Blogger profile, please be sure to leave it in your comment so that I can contact you if you are the winner! You will then have 48 hours to confirm or a new winner will be drawn. Make your marriage the best it can be by learning the secrets of proactive passion. Using the latest in brain research, This Is Your Brain in Love helps couples become Master Level Lovers by encouraging each mate to bring their healthiest, most balanced and joyful self to their marriage. Bonus material offers brain-researched strategies and new hope for women dealing with hormones and men struggling with sexual addictions. Dr. Earl Henslin is a licensed counselor and author of six books and numerous professional articles. For the past fourteen years, working closely with brain imaging research pioneer, Dr. Daniel Amen, Dr. Henslin has been integrating brain imaging in patient treatment. In all honesty, it's very hard for me to find a non-fiction self help book that is not so boring that I want to let it sit on the coffee table to never open again. However, Dr. Earl Henslin in my opinion, did a wonderful job at putting this book together. It was the kind of book that you really want to finish reading. I literally grabbed a cup of coffe and stayed up to the wee hours of the night reading it. I liked how he incorporated the Christian faith into it as well. I would rate this book an A++++ and I highly recommend that you read it! Would you like to win this? 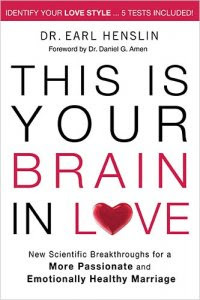 After doing my first review and giveaway on This is Your Brain In Love, the author contacted me and asked me if I would like to give a signed copy away on my blog. Of course I said yes!! A SIGNED copy of the book!! Tweet about this giveaway and leave a link to that tweet~1 entry can be done daily! Blog about this giveaway and leave a link to that post~5 entries! Giveaway Ends 2/14/2010 at 11:59 pm. Open to US 18+! Winners picked via random.org and will have 48 hrs to reply to the winning email. Today's release of a major study linking sudden infant death syndrome (SIDS) with low production of serotonin in the brainstem is a major breakthrough for families and physicians attempting to better understand the dangers of SIDS. Moreover, that Dr. Kinney, et al's work may lead to a concrete approach to identifying babies at risk for SIDS, the leading cause of death for infants between 1 and 12 months old in the United States is of profound importance. In addition, by showing a presence of a SIDS risk factor in 95% of all cases in this study, this research underscores the need for parents and caregivers to be ever vigilant in implementing all safe sleep/SIDS risk‐reduction practices. The study will be published in the February 3rd issue of The Journal of the American Medical Association and was funded in part by a grant from the New Jersey‐based CJ Foundation for SIDS. Since 1994, the CJ Foundation has provided millions of dollars towards SIDS research projects, organizations, support programs and public education and awareness campaigns throughout the nation, making tremendous strides in its fight to eliminate SIDS. •Always laying your baby to sleep face up. Side and tummy positions are not safe; check with your doctor if your baby has breathing problems. •Don’t smoke while pregnant and never smoke near your infant. While pregnant or considering pregnancy do not smoke. Never let others smoke near your baby. Smoking is a major risk factor for SIDS. •Don’t let your baby get too hot. Overheating is a leading risk factor for SIDS. Dress your baby in as much or as little as you would wear. If your baby is sweating, has damp hair, or a heat rash, he or she may be too hot. Room fans have been shown to reduce the risk of SIDS. Consider using a wearable blanket or other type of sleeper instead of a blanket. •Lay your baby to sleep in an approved crib, on a firm mattress. Do not let the baby sleep on soft things, like a couch, pillow, sheepskin, foam pad, or waterbed. Remove all loose bedding, stuffed animals, and pillows from crib. Crib bumpers are not recommended and can be hazardous. 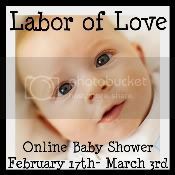 •Create a healthy lifestyle for you and your baby. When pregnant, see your doctor often and do not use drugs or alcohol. Talk with your doctor about changes in your baby and how your baby acts. •If possible, breast feed your baby. Breast feeding has been shown to reduce the risk of SIDS. •Put your baby on his or her tummy to play when your baby is awake and supervised. Make sure someone is always watching. “Tummy Time” is good for your baby because it makes neck and shoulder muscles stronger. •Don’t share sleep surfaces. Adult beds, couches, and chairs are not safe for infant sleep and increase the risk of SIDS, suffocation and accidental infant death. After breast feeding put your baby back in his or her crib. •Share these tips with everyone who cares for your baby. Contact me if you would like me to do a review and/or host a giveaway of your product! MagnaPods Giveaway Ends 3-10 *2 Winners* Open to USA & Canada!!! Giveaways going on over at HECK OF A BUNCH!